Description: Was the Model T Ford introduced before or after the VCR? Was Gone With the Wind published before or after Tom Sawyer? Was Teflon invented before or after the Hula Hoop? You place events in time, and put time in it’s place. 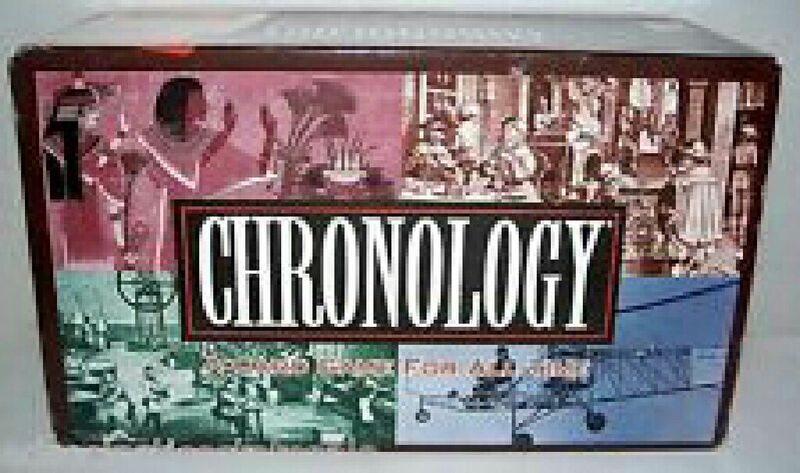 Collect a total of 10 cards by correctly guessing where each card should be placed in chronological order to win. 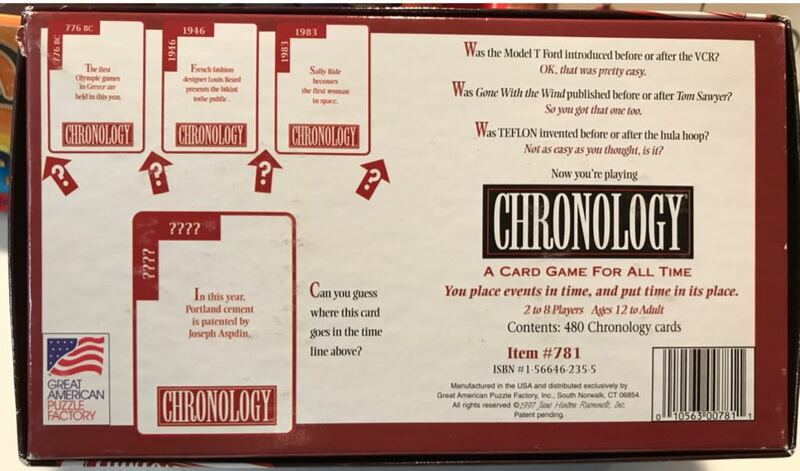 Contents: 480 Chronology Cards in two boxes; instructions.